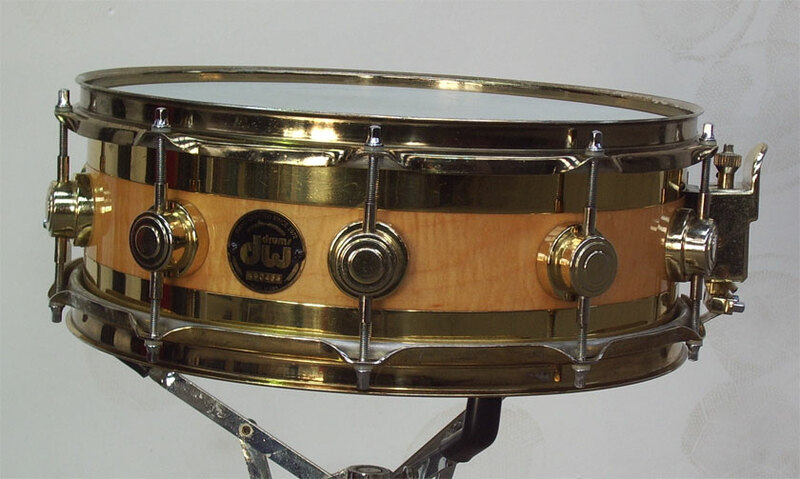 DW Custom Snare Drum Collection the "Edge" Brass/Maple. 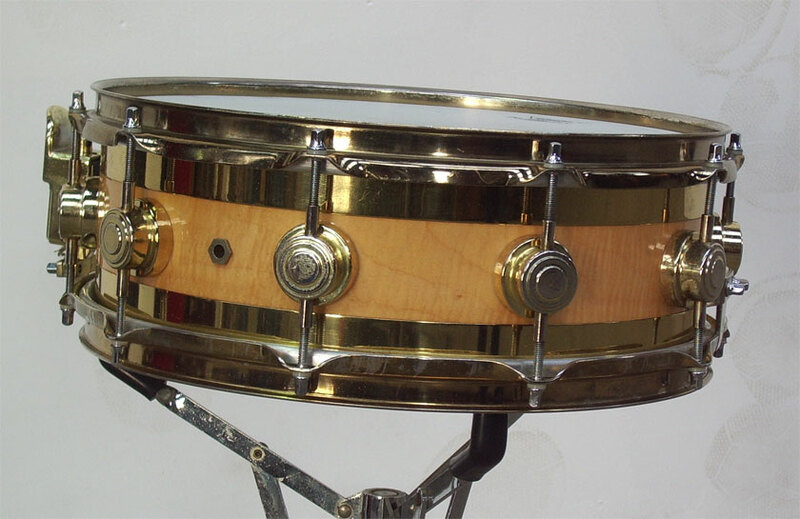 This drum has a rare shell construction, part brass and part maple. 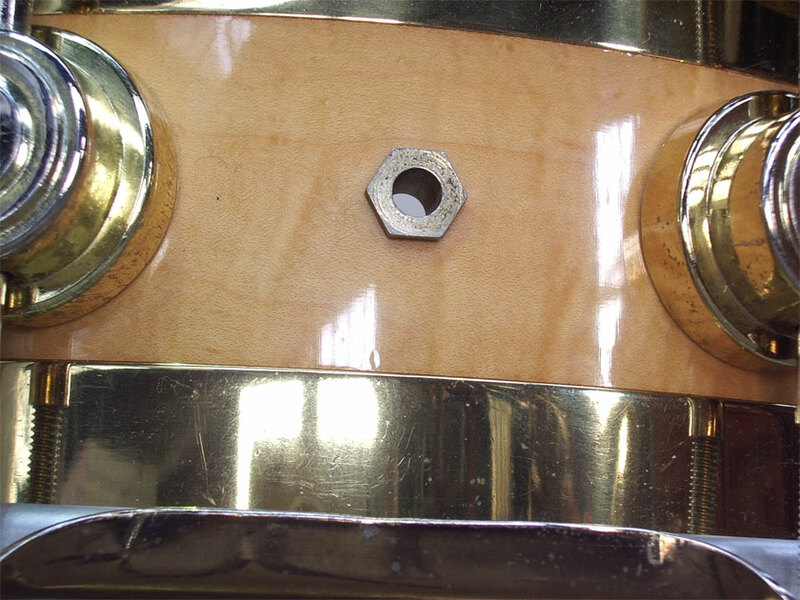 The edges are made of solid brass with a sharp bearing edge while the part in the middle is maple. 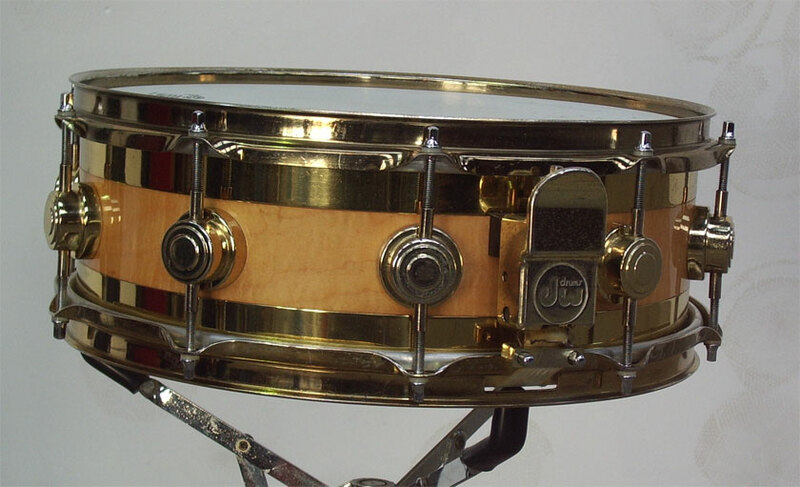 The lugs, rims and DW strainer are also brass plated and what looks like a laqcuer because in some places it has worn off. 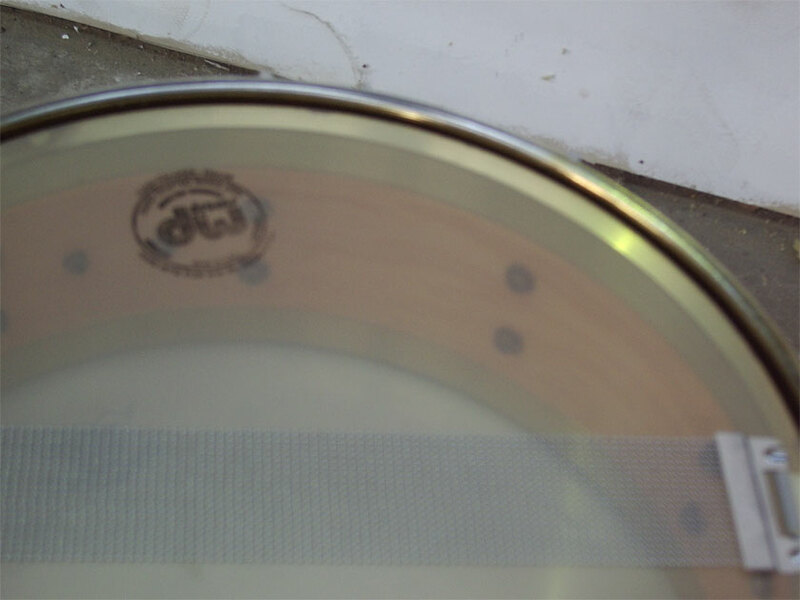 This is a quite a heavy drum because of all the brass used in the shell and has a great sound. Top head and snarewires are replacements. 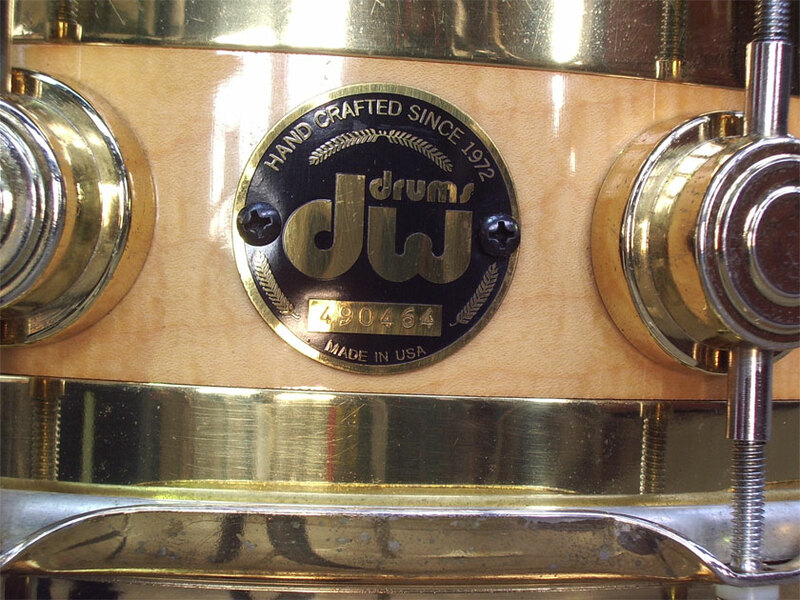 All original and one of the top DW snares that will be collectable in the near future.